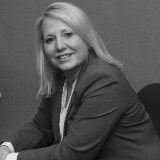 Michele Shuster is a Partner with Mac Murray & Shuster LLP as well as general counsel for the Professional Association for Customer Engagement (PACE). We have been proud to partner with the Professional Association for Customer Engagement (PACE) for years. Michele and a panel from PACE will speak to updates to critical compliance considerations for contact centers.